Ben Nuttall is an exceptionally talented professional Soccer freestyler. The undisputed World Number One of the sport, Ben is the main freestyle performer for both Adidas and Manchester United, working with some of the world’s biggest brands and performing in front of massive audiences. Ben consistently delivers a high quality, energetic show consisting of some of the best freestyle Soccer tricks in the world, specially choreographed and tailored to each event. Ben’s explosive freestyle Soccer displays are the perfect way to engage audiences, making any event unique and memorable. His talents are in high demand, having performed at hundreds of events over just a few years all around the world – Portugal, Cyprus, Kiev, London, Copenhagen, and Prague to name just a few. He has significant experience working at big-name events with large clients, such as his recent collaboration with the Champions League Final 2018 in Kiev. 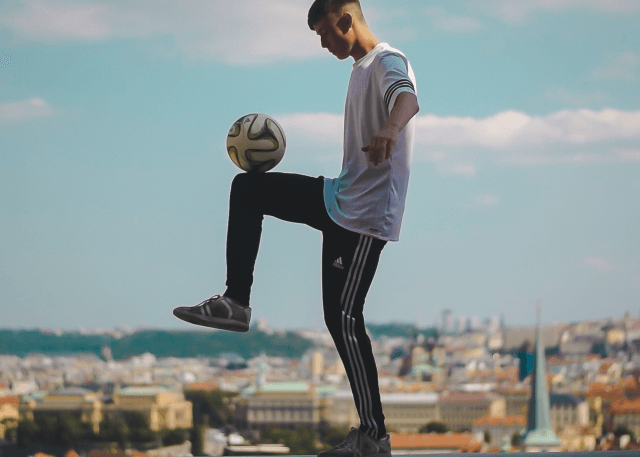 Described as “unbelievable” by Gary Lineker, Ben Nuttall’s incredible Soccer freestyling skills showcase an amazing power to captivate, inspire and astonish any audience.